Finding you the right professional assistance in the murky world of business brokers. Helping owners of smaller business find and close deals ​without the use of business brokers​. Don't know whether to DIY it or use a professional adviser? Have other questions around selling? ​Start here. 96% Choose The Wrong Broker & Fail To Sell Their Business! This sale will be one of the biggest transactions of your life and you can't afford to get it wrong. Unless yours is a very small business, you will benefit from the expertise of a competent broker or other intermediary to effectively reach the best buyers and investors, and to negotiate the best set of price and terms with the very astute and sharp corporate finance professionals investors use in these situations. And those aren't the only two areas where you desperately need an expert fighting your corner. But finding the right broker is easier said than done. 96% of vendors choose the WRONG broker. They choose the one who happened to cold call or the one who claimed a large database of "eager buyers" / a "ready cash buyer waiting in the wings". Sometimes they make the big mistake of using the broker who provided a flattering valuation figure (complete with convincing sales talk on how its in their interest to reach the figure to get their commission). Occasionally, it's the broker who presented at a seminar and sounded like he really knew what he was talking about. These are all the wrong ways to choose a key partner to sell your biggest asset! 80% of the businesses that brokers take to market FAIL to find a buyer! Even worse, choosing the wrong broker can bankrupt your business. Click the "Why?" tab above for more. I help business owners successfully sell their businesses using the right broker. Yes, business owners often find that even after a year their business hasn't been sold but that they still owe the broker his "success fees" This can be 5% - 10% of the valuation the broker originally put to the business! What triggers the success fee clause? It's often sometimes just a minor update in Companies House records (change of director / change of shareholding etc.). Yes, if a director resigns or another one is appointed, or you give your spouse some shares in the business, you may suddenly find you owe the broker a very large sum of money for having "successfully sold your business"! But changes in Companies House records are not the only grounds on which brokers trigger the success fee clause. The broker industry in the UK is unregulated and notorious. As revealed by various investigations (sample), many brokers make their money not from selling businesses but from exploiting small print in their contracts. There are hundreds of real horror stories. You need to know what to protect against and how best to ensure your interests are covered comprehensively and securely. The "Solution" tab above tells you what I can do for you. - selling your business with the least amount of stress. You get three main benefits. I provide a collection of must-have guides for anyone looking to sell a business through a broker. These contain never before revealed tips, techniques & wisdom to transfer power in the business selling process from investors & brokers to you, the vendor. These guides are not available anywhere else and are provided only to my clients. They are a condensed version of the wisdom gained from hundreds of real transactions. These mini eBooks are designed to collectively save or make you, the business owner, significantly more when selling a business, and to protect you from sharp practices common in this industry. It's not just business brokers who sell businesses! This books covers the others - from M&A advisors to corporate finance firms to investment banks - and explains how they all fit into and work within this ecosystem. Which of these is the best choice to sell your business? Without knowing how the fees (and, more importantly, the fee structures) work, you could end up being overcharged by tens of thousands of pounds. 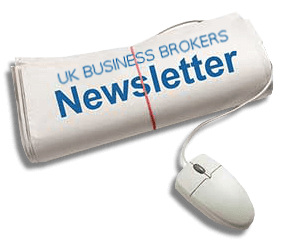 I explain the fees as they apply to different sized businesses - with various examples of how much specific UK brokers charge - and tell you the 4 "Gotchas!" you need to watch out for. The 14 key questions you should ask every broker and which almost no business seller ever asks. We also explain why membership of various well known "trade bodies" is not really an indication of anything at all, not in this industry anyway. I'll tell you which logos are easier to get than a sticker in school for turning up on time! Brokers make a lot of claims but very few actually deliver. You'll learn how to assess brokers before hiring them. Learn what you can expect (demand) from a competent broker. How do you do due diligence on a broker? While I review and negotiate the contract for you, you need to know all the danger areas in broker contracts ...and how to avoid them. I rip apart a sample contract and show you all the snags that catch out most vendors. Out of the 400+ brokers in the UK, not to mention the other intermediaries, less than 5% are a good match for YOUR business (though most brokers will take on all businesses even if they aren't best placed to sell them). The mini eBooks above explain what makes for a good match. However, filtering is possible only when you have access to the data. And you don't. There is no national database of brokers. A couple of directories exist, but they exclude the many accountancy, corporate finance & legal firms (and others) that have extensive broking departments and which happen to be some of the most competent "brokers". Further, the directories have little to no information on each broker. Over 90% of the best brokers can't be found in Google! None of the top brokers are in the first 100 or so of Google's results! I've put together the UK's most comprehensive database & knowledge base on UK based broking intermediaries. Did you know, for example, that there are over two dozen brokers who specialise in selling just accountancy firms? And that there are several who specialise in buy-side broking (i.e. they represent buyers and therefore charge the seller no fees)? BrokerMatcherTM weeds out the brokers with the known exploitative contracts and the ones with the worst reputations. It then shortlists brokers based on my proprietory algorithm. Each is then contacted on the phone to manually confirm whether they have the free resources to take on your business. I get guarantees from them about the seniority of the person who'll be handling your sale, pre-negotiate some of the fees and terms for you etc. You then get a report of the firms best positioned to sell your business successfully and meet all your exit goals. Various details on the final contenders are included, such as concessions I've managed to extract from them and why they made it to the shortlist. I then further assist and guide you with choosing from the shortlist, and negotiate the final terms and fees for you. The final choice is ultimately your decision, but I'm fighting your corner all the way and providing impartial advice and support. Here are some case studies involving recent clients who used this Broker Matcher service. My personal assistance through the process of finding the right broker, negotiating terms and otherwise preparing for the sale. This is probably the most valuable part. I won't bore you with how many businesses I've bought and sold - that information is on the home page along with rave reviews from past clients. You get my assistance at no additional cost. I've saved hundreds of business owners from bad decisions and made many more significantly richer than they otherwise would have been. Let me do that with you, too. You get access to me, to tap into my experience and to avail of, where appropriate, the various documents, reports, data and information I've prepared over the years to advise on matters related to selling businesses. If you'd like to find out about this package, click the button below and fill out a brief form. You'll get my personal reply by email and it'll normally be within a few hours. For very small businesses it generally doesn't make sense to hire a broker. Many brokers who operate in the sub £1 - 2 million market have a terrible reputation (and with just cause). The bad ones charge an upfront fee and end up doing hardly any work to find you buyers. Despite all their assurance and slick sales talk, you'll end up being listed for months or years without finding a buyer! The worse brokers charge you nothing at all. The work on a "no sale, no fee" basis. While that might sound like a good deal, some of the most dangerous brokers in the UK operate on this basis. Read about them here. Some brokers charge £40,000+ in upfront fees, others charge "on success only" (but often sell fewer than 5% of businesses they take on). Signing up with a broker can seriously damage the value in your business - not all brokers are what they seem! So why don't you sell your business yourself and save the large retainer (or the "success fees" i.e. 10% of the entire value of your company)? Before you start you need to know that this isn't like selling anything you've sold before. Selling takes different skills to building a business. But, with the right help, owners demonstrate a 350% higher success rate than brokers! As part of my mission to put power in the hands of business owners, I've assembled an economical, flat-price "Assisted DIY" package. Click the "Definitely" tab above to see what's included in the package or use the button below to order your information pack. I help business owners successfully sell their businesses themselves. Other draft legal documents: Letter Of Intent, Purchase Agreement etc. Use a broker or handle the sale myself? For many businesses using a competent broker is essential to extracting maximum value. But some business owners are extremely successfully at selling their businesses themselves and without a broker. 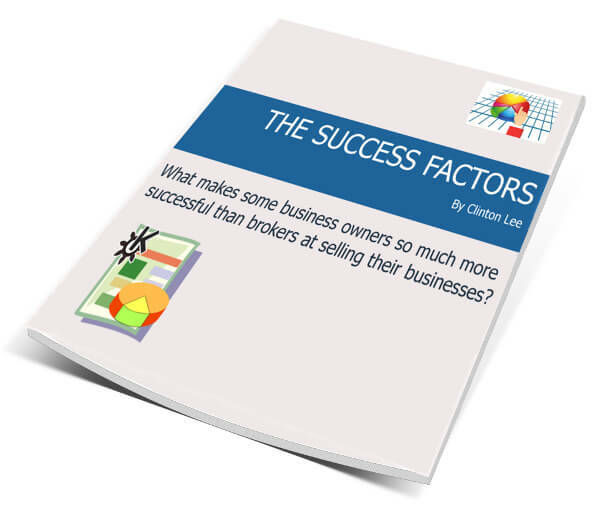 In fact, owners are often far more successful at selling their businesses than brokers are! DIY or broker is a decision that benefits from some unbiased, expert advice. Which suits your business best? Click the "The Answer" tab above for a free guide. Ask a broker whether you need to use a broker and the answer will likely be that you do (unless your revenue is below the broker's threshold and he doesn't want to take your business on). The free downloadable guide arms you to take the decision yourself. It explains what personal and business factors contribute to a successful sale by owner & which businesses benefit from using a broker / intermediary. I answer most early questions without you getting on a broker's mailing list & risking confidentiality! Yes, I'd like more information on how you can help me sell my business without a broker. You will treat the below as promised on your non-disclosure page.